After getting inspired of the Android 4.0 Honeycomb User Interface. 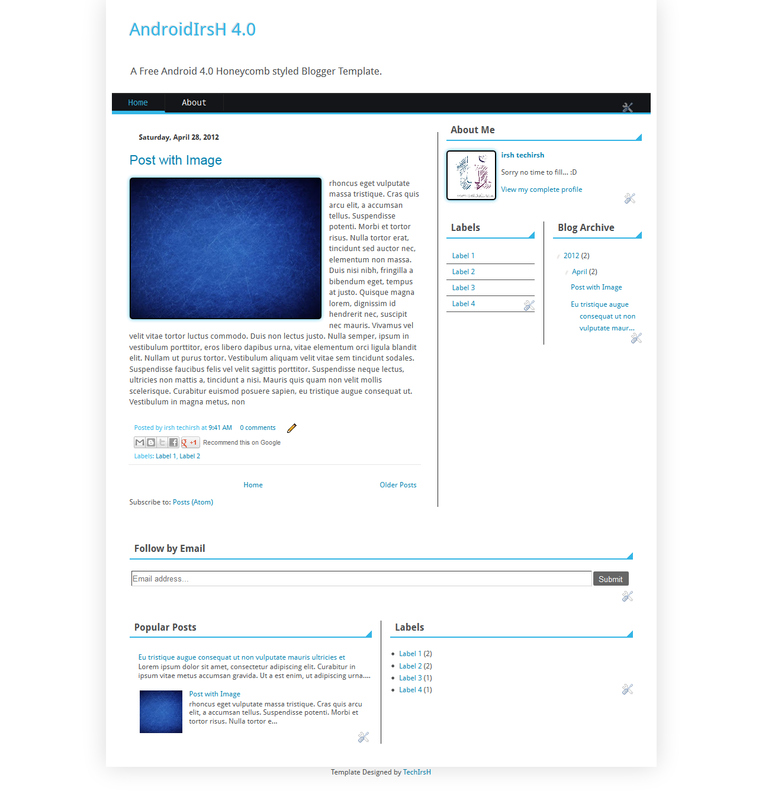 I thought of customizing the default blogger template with Android 4.0 styled interface. 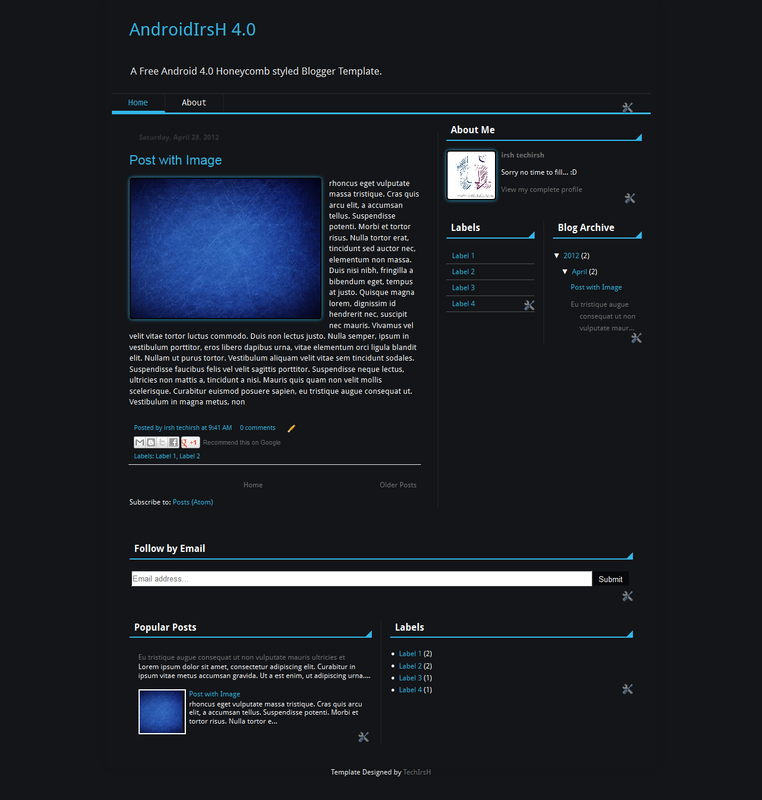 Since this template is redesigned from the default blogger template. You almost get all the default features of Blogger. You can make different layouts, use the Share button, almost all the new features. Its mobile view is also customized which gives the same interface as of Web Version.